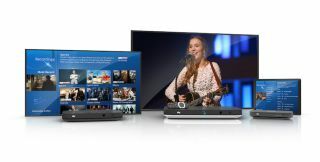 Sky agrees takeover by 21st Century Fox | What Hi-Fi? Shares in Sky increased by more than 30 per cent on news of Fox's interest. It is unclear whether this will affect Sky's television service or digital TV boxes. Sky has just agreed to an £18bn takeover by 21st Century Fox, on an offer price of £10.75 per share. In a statement Sky said that, “The independent directors of Sky note today’s share price increase, and announce that Sky has received an approach from 21st Century Fox. "After a period of negotiation, the Independent Directors of Sky and 21st Century Fox have reached agreement on an offer price of £10.75 per share in cash, less the value of any dividends subsequently paid by Sky. "However, certain material offer terms remain under discussion and there can be no certainty that an offer will be made by 21st Century Fox, nor as to the terms of any such offer." It is as yet unclear whether this will have any effect on Sky's programming, or its Sky Q box, but we will endeavour to bring you more details as they are released.